Microprocessor based boost/buck fully-regulated converter. Capable of stepping through three levels of brightness. Click through the 3 levels and release after the blip to set. The GDuP turns your single stage light into a three stage clicky or twisty. Has the capability of retaining your last entered state. 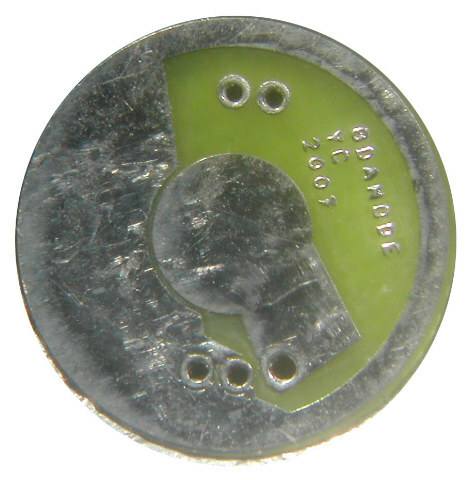 The board runs best when used in a single cell application (CR123, RCR123 or 2,3 alkaline batteries). 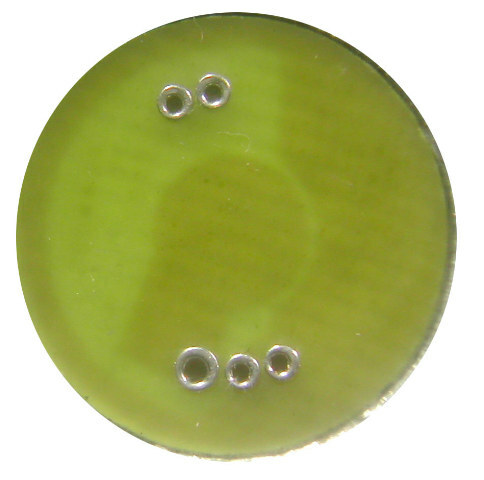 Do not use this board in any two 123 cell configurations as this will fry the components on the board. Board has components on both sides (bottomside not shown). Extreme care must be taken when soldering this board to other components as too much heat and components will fall off either the top side or bottomside depending on which way gravity is pulling. Custom versions of the UI can be made. Inquire for more info. See CPF thread here for more info. Note: If the GDuP converter is custom programmed and is successful, it is not tested again. If you want it functionally tested it will cost $14.00 for each converter because wires need to be added and test performed. New software implemented in 2010. High output option available also. When you turn the light on it will determine in 1 second if the current level is within specifications. If it is not within specifications it will blip quickly once a 1 second. This is the indicator it not calibrated. It will automatically start a re-cal procedure and if successful ( a few seconds to many seconds later) it will blip quickly twice. Once it blips twice it signifies it cal'd correctly and stored it away. You can now cycle to the next level and wait to see if it auto-cals or not. You need to do this once and it will do this periodically with LED aging. But, it's automatic. Just use the light. It should be correct after a few usages. 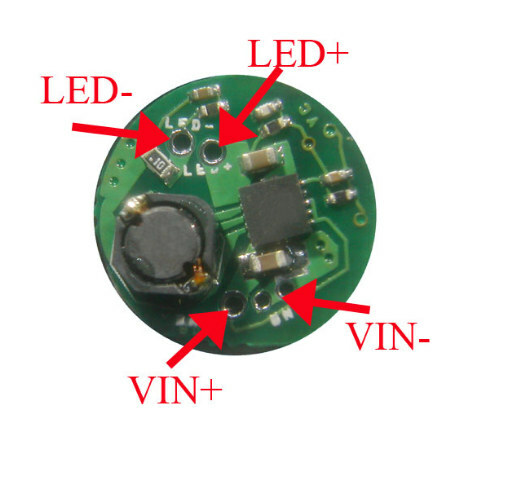 The GDuP is based on the GD driver and is a true buck/boost converter. It will run from 1.8V to 5V safely. So, yes to two cell Alkaline, NiMH or even three cell Alkaline/NiMH. I think the full description is on the GDuP thread on CPF.